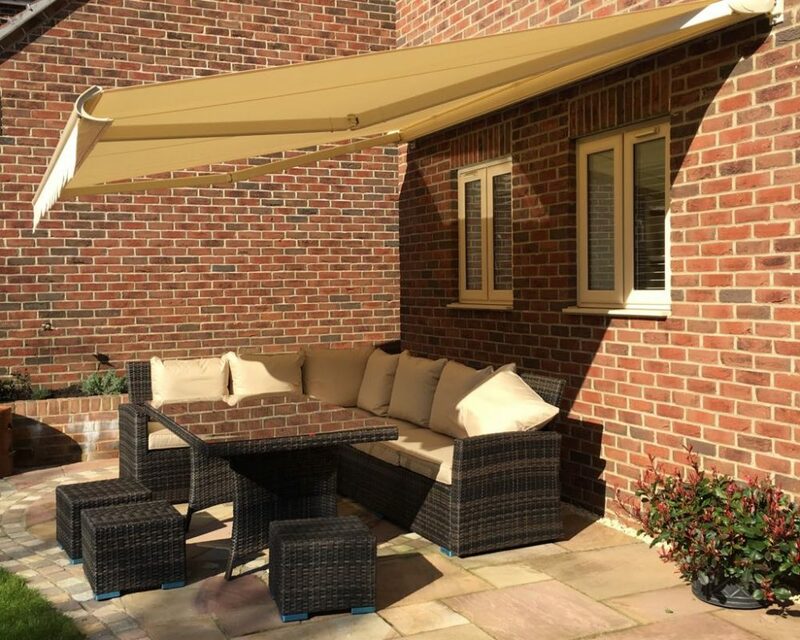 Awnings offer the ideal shading solution for patios and balconies. 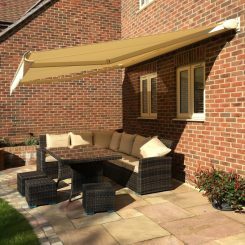 With variable widths that are centimetre-accurate up to 7 meters and a maximum drop of up to 4 meters, they can be used virtually anywhere. 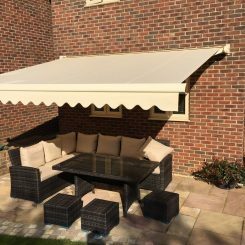 Our awnings excel in terms of quality and are easy to install, with clean lines and a variety of optional features. 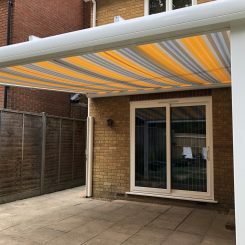 All of our cassette awnings are hinged-arm awnings with a self-supporting casing, making them especially compact and space-saving. 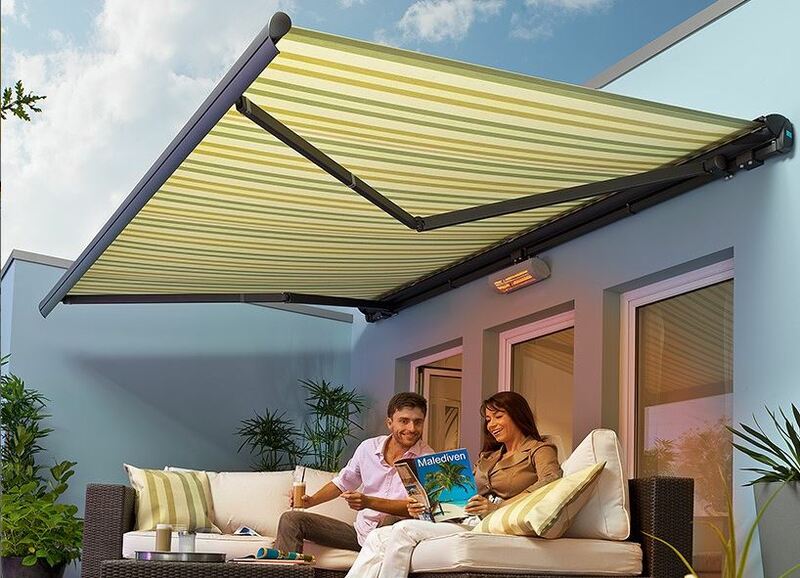 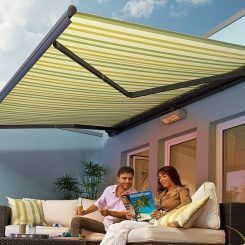 The full cassette design, which is closed on all sides, reliably protects the awning fabric and mechanism against soiling and the effects of the weather. 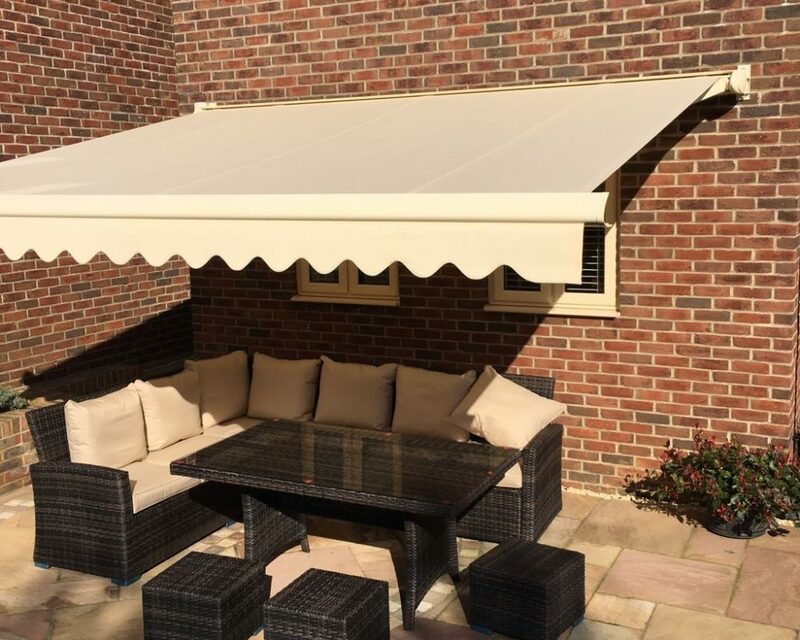 – Full cassette awnings satisfy all the demands made on a modern awning. 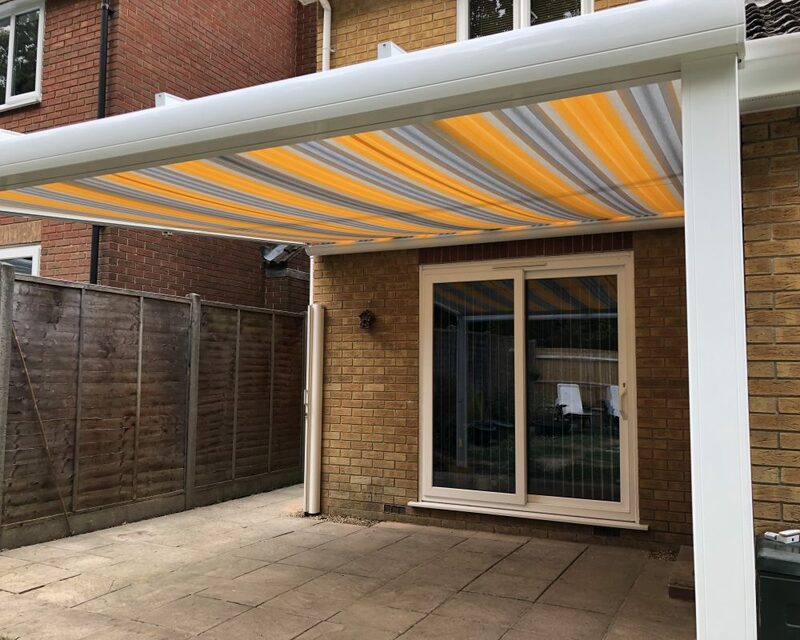 Pick out your personal favourites: shades of marine blue, summery yellow-orange hues, warm earthy tones, classic block stripes or solid colours.